In the classic story, Gone with the Wind, Scarlett O’Hara experiences the complexities and tragedies of love as she falls in love with a man and then marries his brother just so she can be close to him. Her husband is killed in the war and she meets and marries another man, all while still in love with first one. Eventually, she is left alone and bereft, only gaining true insight about the ways in which her heart works after it’s too late. I’ve held this example of classic literature up many times in my explanations of why love can be so terrible. It can lead you to completely ruin your life in hopes that you’ll catch a fleeting glimpse of something that you thought looked good. That isn’t to say that all love is bad, you just have to be careful with it, like any other inflammatory thing that exists in life. 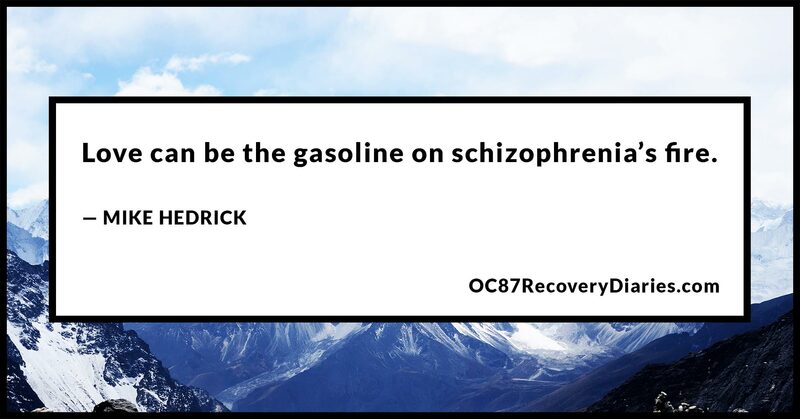 With schizophrenia, you have to be extra careful with love because your reasoning and mental faculties are already compromised to a degree and love can wreak havoc on things like nothing else that exists. I remember in college, I fell hopelessly in love with a girl who didn’t like me back. It started just like that, one day when we were both at a friend’s barbecue and she sat next to me and talked to me. From that point forward, for the next two or three years, all I could think about was this girl. She rebuffed me over and over and I kept at it thinking that if I could just say the right thing, or spend some time with her she’d see how good of a guy I was. I imagine most guys in college or high school have had a similar experience. There always seems to be the girl we could never get. I took it—my mind took it— to another place entirely. The months passed and I started to fall into a delusion that she was telling me secret messages through her Facebook posts. I’d read them over and over, dissecting them and piecing them together into some halfway coherent message that she wanted to be with me. During this time, I went on my trip to the U.N. thinking I was a prophet and I’d check her posts constantly for some indication of what I should do or where I should go. Sadly, they never led anywhere. Finally, one Christmas she said she didn’t want to hear from me again.The rejection was piercing and it tore my heart out. All I could think about was this girl. 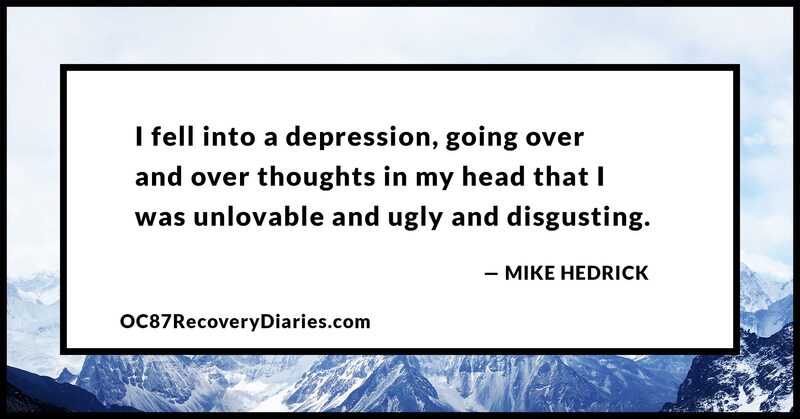 I fell into a depression, going over and over thoughts in my head that I was unlovable and ugly and disgusting. Somehow I came to the realization that I really didn’t want to feel this way again and I didn’t want to give anyone that kind of power over me. Out of that feeling and a respect for her wishes, I sucked it up, swallowed my pride and attempted to move on. Those years taught me that love can be the gasoline on schizophrenia’s fire, playing tricks on your mind and it can lead you to places from which you may not be able to return. 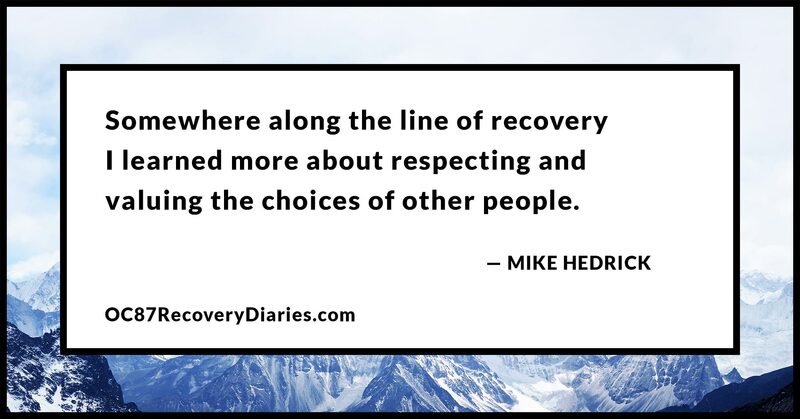 Somewhere along the line of recovery I learned more about respecting and valuing the choices of other people. That applies to love as keenly as anything else I can think of. If someone doesn’t feel it, that’s their prerogative and there’s nothing you can do to change someone else’s mind. I don’t know where I got the idea that I could make someone love me through my actions, words or thoughts, but I think part of it was conversations with friends about how to get a girl to like you. Schizophrenia amplified that notion by making me feel so alone at such a vulnerable time in my life that I grasped onto any hope whatsoever that I could get people to like me. A favorite song from those few years for me was Bon Iver’s rendition of “I can’t make you love me” which is so hauntingly beautiful that I cried the first time I heard it. Granted it was a particularly vulnerable time for me but the message is as true today as the day I first heard it. Eventually, I grew up and came to realize fully that the only person I can really trust and the only person I can control is me. I have to fully become my own person for any lasting happiness to occur in my life. 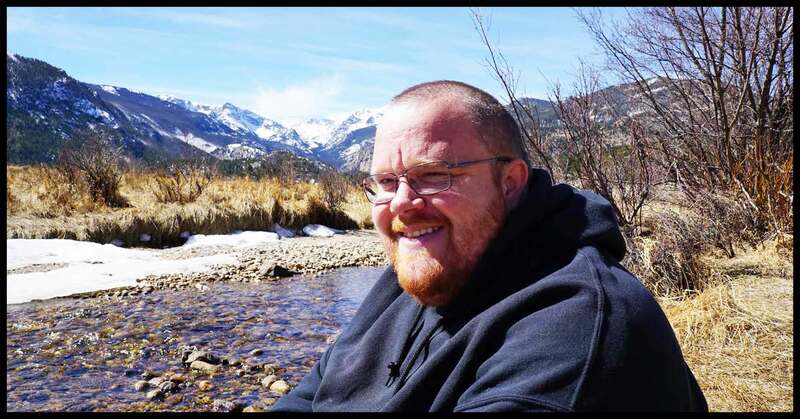 The last ten years have been a time of great growth for me as I came to comprehend both my place in the cosmos and my place among other people. This is concurrent with my slow ascent to lucidity and stability. I’ve learned lessons that had seemed elusive to me before and I’ve come to be a person who I can fully respect as valid and important. I’m still complicated, but so is everyone else. Love hasn’t found me yet, but I am able to distinguish between infatuation, obsession, and real positive, cooperative love. Sure, it’d be cool to get married someday but I haven’t found the right combination that makes me sure of something yet, though I’m looking forward to it. I’m very careful about who I let have my heart because the uncertainty of love can cause problems for my mind, a mind that’s still vulnerable and still has fresh wounds. The bottom line: love is hard, especially for a person with schizophrenia. But I have hope.